5 Steps to Achieving Your Goals, No Matter What! Is there something stopping you from reaching your biggest potential? From getting to the next level? Are you working as hard as you can – and still not getting there? 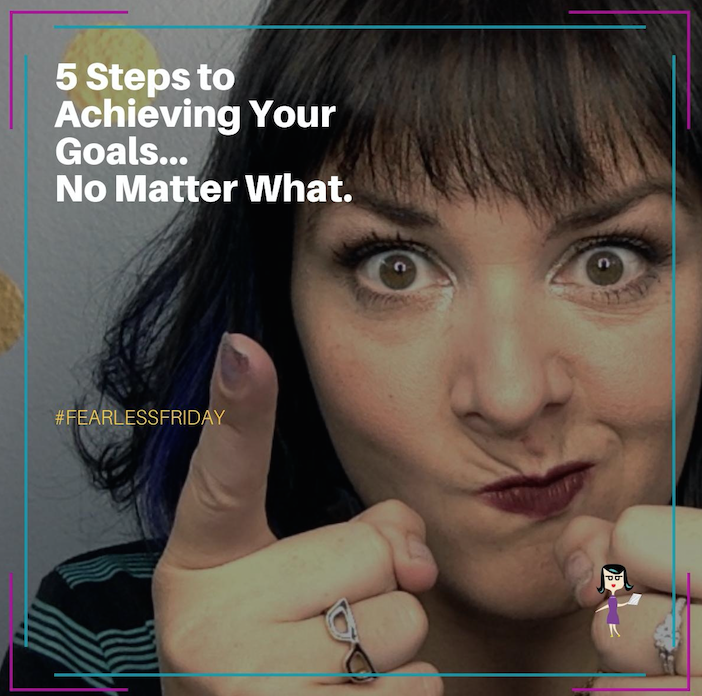 In today's #fearlessfirday, you'll learn a 5 step process that will help you to push thru and ACHIEVE YOUR GOALS… no matter what! You DESERVE this, and the world needs your awesome. Click the video link below to jump into the conversation and be sure to message me with your response to tip #4!